Are You a Veil Gal? 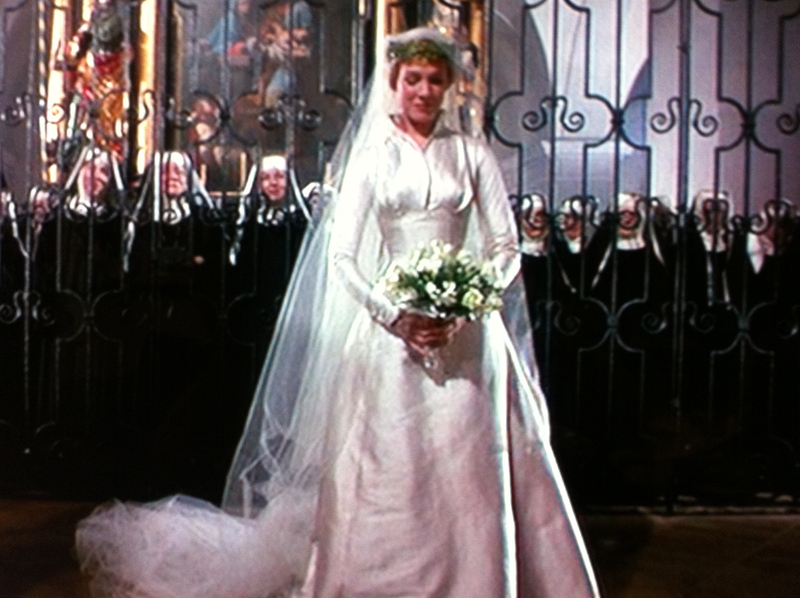 When I about ten years old I imagined myself into the Sound of Music wedding. I was going to be a nun-turned-governess, meet a wealthy military man, and have a HUGE cathedral wedding in a giant dress with a veil and train that spanned the whole aisle. I’m pretty sure that I was upset when my name didn’t exactly fit into the “How Do You Solve A Problem Like Maria” song. But of course a lot has changed since I’ve been ten. A dress like she has would suffocate me, I couldn’t imagine getting married in a church now, let alone a massive one like that, and my path to being a head strong nun was definitely stunted somewhere in there. It’s probably for the best, like Maria, I would have made a terrible nun. One thing, however, has remained sort of up in the air. What to do about a veil? I know I could never handle a Sound of Music veil, but the cathedral length can be so dramatic and pretty. At the same time, I don’t want to rule out the shorter veils either. I love birdcage and mini blushers too! A lot of it hinges on the dress, which is very dramatic in its own right, with a lot of embellishments and lace. I don’t want the veil to outshine the dress! Here are some pictures of veils I just love (even if all of them aren’t right for me, they are still gorgeous)! The veil’s history is very interesting! Back in “the day”, ancient Greek and Roman brides wore colorful dresses and opaque colorful veils to ward off envious women and evil spirits. I guess women were catty even then! Due to the opaque nature of the veil, the bride couldn’t see jack squat! Imagine walking down the aisle blind! You would probably end up marrying the organ player or something. So the tradition of the father escorting the bride down the aisle was born, someone had to lead the blind bride to her husband-to-be! In arranged marriages the opaque veil did not allow the groom to see his bride until they were officially married. After the “I dos” and a legally binding ceremony, he could then lift the veil and see his new wife. Imagine that! The first time you meet, or even SEE your betrothed is after you are legally bound together. This can make for some tricky dealings. For instance, there is a Bible story where a man wanted to marry the youngest daughter, and worked for years to earn her, on the wedding day, due to that damn opaque veil and a nasty father, the poor man married the older sister instead of the younger one! How horrible! Thankfully today the veil has evolved to a symbol of modesty and chastity to those who are religious, and a fashion accessory for the bride as well! I am definitely leaning toward a birdcage of some sort, but at the very least, I will have something in my hair! I’m the same as you. 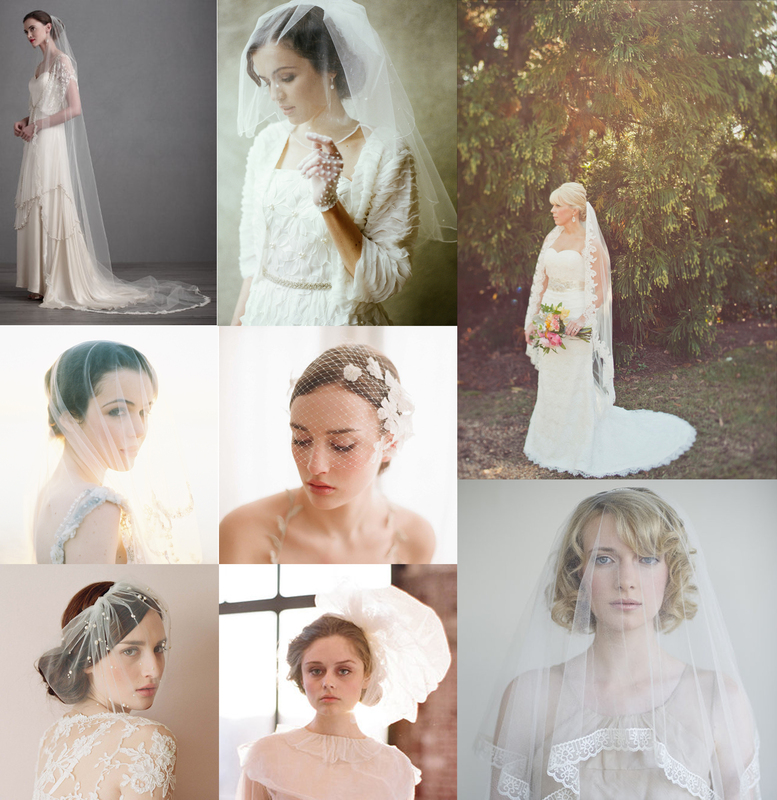 I think I like the idea of a veil more than actually going and getting one. I’m thinking birdcage too! I wore a cathedral length veil but no blusher so definitely a fashion piece, and not to be modest! I always thought I wanted a birdcage veil until I actually tried one on. It just wasn’t me. I’m making my own veil, waist length without a blusher. At first I wasn’t sure about whether or not I wanted one, but the more I thought about the more I realized I wanted one. Since my dress is gunmetal grey I’ve found a sheer sparkly tulle to use for the veil. I’m actually excited about making the veil and wearing it. The one and only time in my life I’ll be able to wear one, so I’m making the most of it. Props to you for making your own!! I am such a sewing klutz!